Horace (Ace) Goodwin 87 passed away peacefully surrounded by his family on October 10, 2018. Ace was born in Paducah, Ky. June 22, 1931 to Fred and Margaret Goodwin. He moved to Chicago, IL, when he was 6 years old and to Montana when he was 16. 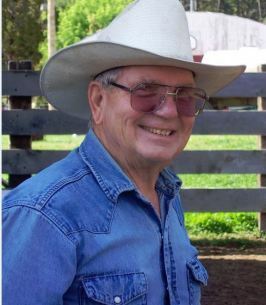 He worked for different ranchers along with doing some trucking. He purchased his first place at Otter, Mt. in 1954. He then served in the Army and Army Reserves. Soon after returning from the service, he married Addie Powell on June 6, 1958. To them were born three children, June, Jim and Harry. To plant a tree in memory of Horace Frederick "Ace" Goodwin, please visit our Heartfelt Sympathies Store. We encourage you to share any memorable photos or stories about Horace. All tributes placed on and purchased through this memorial website will remain on in perpetuity for future generations. Harry and Diana so sorry to hear about Ace. My thoughts and prayers are with you and all of the family. We are saddened to hear about Ace. Your family is in our thoughts and prayers. We can't begin to tell you all how sorry we are for your loss. You are in our thoughts and prayers. Much love to you all.